ITT Conoflow, an ITT Control Technologies brand, has been a leader in the supply of instrumentation and valve control products to the commercial nuclear power industry. 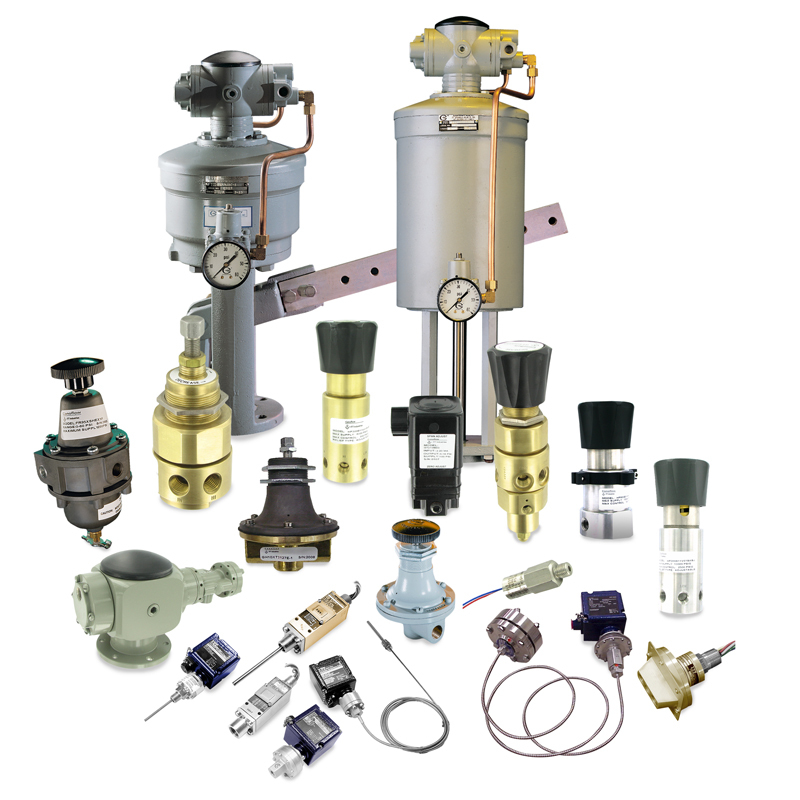 As a manufacturer of actuators, I/P’s, regulators, and diaphragm seals, ITT Conoflow has provided proven, Nuclear Qualified, current-to-pressure transducers (I/P’s) and filter regulators to the industry for over 30 years. ITT Conoflow’s GT Series I/P and GFH25 regulator have been qualified in accordance with IEEE-323 and IEEE-344, and are manufactured under ITT’s 10CFR50 Appendix B and 10CFR Part 21 quality program. ITT Conoflow also manufactures a complete line of commercial products for balance of plant applications. In addition to I/P’s and regulators, ITT Conoflow provides positioners and diaphragm seals. In 2015, Enertech and ITT Conoflow entered into an exclusive partnership to provide enhanced support to the nuclear power industry. Through this agreement Enertech has taken on the role of application engineering and sales assistance, while ITT Conoflow has continued to manufacture components under its 10CFR50 Appendix B Quality Assurance program. 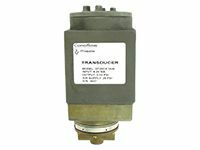 Conflow’s Commandaire Positioner is a top mounted, integral positioner used with piston or spring and diaphragm actuators. Utilizing a force balance principle this unit provides proportional positioning of an actuator with stroke lengths up to 10”. The completely enclosed design eliminates exposed levers or linkages making the Commandaire Positioner rugged and reliable. 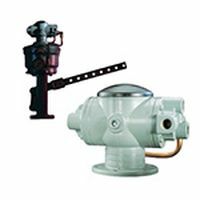 Pneumatic Piston Actuators are compact units designed to function in today’s high performance instrument systems. Piston diameters of 3” to 12.5” are available with standard strokes up to 10” (for stroke lengths greater than 10”, consult the factory). Integral positioners are standard for modulating service. Conoflow’s Pneumatic Lever Actuators are rugged and powerful units used to automatically position dampers, louvers, variable pitch fans, and to make various mechanical adjustments to process machinery. Low profile design (only 18” high) requires less headroom. A sturdy ductile iron yoke with large mounting base provides rigid mounting. The steel lever arm has eight take-off positions for stroke flexibility. Conoflow designs and manufactures many types of diaphragm seals, which are flexible barriers that are utilized to isolate an enclosure from the intrusion of other unwanted materials. Conoflow diaphragm seals include threaded and flanged models, specialty models, sanitary models, and mounting and filling accessories in a wide variety of materials and configurations. 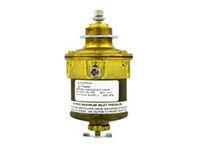 The GFH25 Airpak® is an IEEE qualified, pressure reducing, relief type regulator and air filter combination. 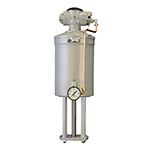 The GFH25 is used to provide clean regulated air to instruments, air operated valves, controls, and other pneumatic devices allowing them to operate at peak efficiency. The regulator has a maximum supply pressure capability of 200 psig, with three (3) control output settings of 0-25, 0-60, and 0-125 psig. The regulator has standard 1/4" NPT inlet and outlet ports and two (2) outlet gauge ports. Optional handle and mounting configurations are readily available. Turning the knob changes the force exerted by the range spring on the diaphragm assembly. In equilibrium, the force exerted by the range spring is balanced by the force from the output pressure acting underneath the diaphragm assembly. An unbalance between the output pressure and the range spring force causes a corresponding reaction in the diaphragm and nozzle assemblies. If the output pressure rises above the set pressure, the diaphragm seat is lifted from the plug, venting the excess pressure to atmosphere until equilibrium is reached. If the output pressure drops below the set pressure, the unbalanced force from the range spring acts through the diaphragm assembly unseating the nozzle plug. This allows supply pressure to flow through the nozzle to the downstream port increasing the output pressure. The output pressure increases until it balances the force on the diaphragm assembly by the range spring. At equilibrium, the plug assumes a position which supplies the required flow while maintaining the output pressure at the set pressure.is maintained throughout media temperature fluctuations of up to 105°F. Maximum Supply Pressure: 200 psig (1380 kPa) Outlet pressure ranges are determined by the last character in the regulator model number. The GT Series IEEE Qualified I/P Transducer operates on a 4-20 or 10-50mA DC input signal and provides a proportional 3-15, 3-27, or 6-30PSIG output pressure. 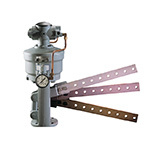 The GT25 operates pneumatic valves and controllers by converting the DC control signal to a pneumatic control pressure. The GT Series accepts a regulated 25PSIG inlet supply pressure and provides a stable, linear output signal. Electrical connections are accomplished through a 1/2" NPSM conduit connection on the side of the Zinc Alloy enclosure. Zero and span adjustments are easily located under the threaded housing cover. 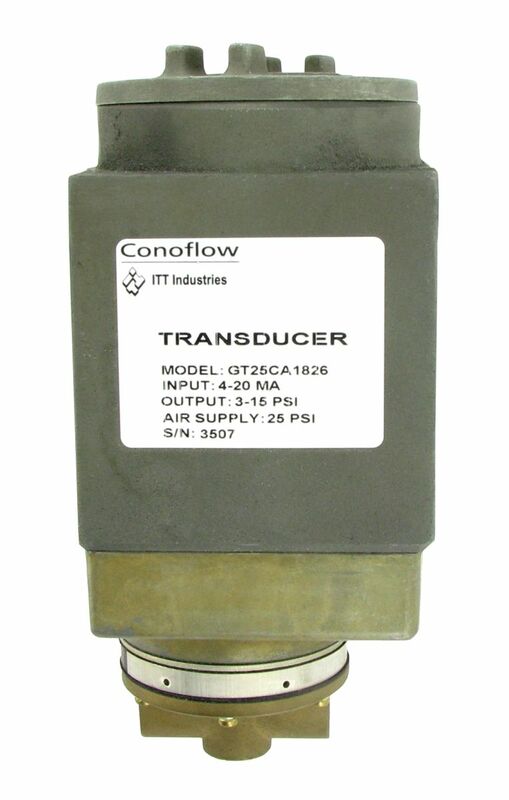 The Conoflow IEEE Transducer is a force-balanced unit which accepts a 4-20 or 10-50 mA DC input signal and converts it to a proportional 3-15, 3-27, or 6-30 PSIG (21-103, 21-186, or 41-207 kPa) output. In the direct acting mode, an increase in the input signal causes the coil to move away from the magnet which moves the balance beam toward the nozzle. This reduces the flow through the nozzle increasing the back pressure in the top chamber of the booster. 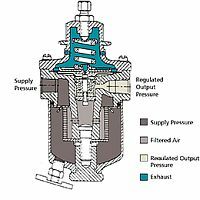 The increased pressure in the booster causes the diaphragm assembly to move downward, opening the pilot valve and increasing the output pressure. The output pressure will continue to increase until it is equal to the nozzle back pressure and the forces on the diaphragm assembly are balanced. A decrease in the input signal allows the coil to move toward the magnet which moves the balance beam away from the nozzle. This allows the flow through the nozzle to increase which reduces the back pressure in the top of the booster. Since the output pressure is greater than the nozzle back pressure, there is a net upward force on the diaphragm assembly which causes it to move upward allowing the pilot valve to close and the relief port to open. The excess output pressure is vented to atmosphere through the relief port until equilibrium is established.